Narrowing the yield gaps in rice production has been one of the major concerns of Governments today. Yield gap analysis attains importance in recent times because it suggests strategies to enhance productivity at micro level and production at macro level. 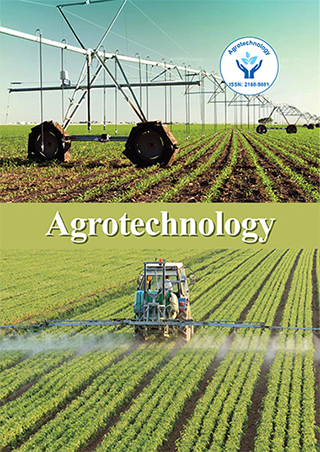 This paper aims at quantification of yield gaps in major rice growing ecologies of India viz., irrigated, rainfed lowland and rainfed upland and also to suggest the remedial measures to narrow the yield gaps. A snapshot of yield gaps across these locations will give a clear picture of status & constraints in rice production at farm level. The yield gap discussed in this paper is the difference between the potential yield and the actual average farm yield. Katihal district of Haryana, Faizabad district of Ut - tar Pradesh and Rewa district of Madhya Pradesh were selected as case studies for irrigated, rainfed lowland and rainfed upland ecologies respectively. The yield gaps estimated were at 1.2 t/ha for irrigated, 1.4 t/ha for rainfed lowland and 1.3 t/ha for rainfed upland ecologies. Pests and disease incidence, labour shortage and the problem of salinity were the major causes of yield gaps in irrigated ecology, whereas risk of submergence and imbalanced use of fertilizer were the major constraints in achieving the potential yield in case of rainfed lowland ecology. Seed and fertilizer unavailability and weed infestation were found to be major causes for yield gaps as opined by farmers in upland ecology. Adoption of IPM for management of pests and adoption of recom - mended package of practices are some of the suggestions to narrow the gaps in irrigated ecology. Transplanting in shallow low lands and application of recommended doses of fertilizers in low land ecology and timely availability of seed and fertilizer and weed management are some of the strategies to narrow the yield gap in rainfed upland ecology. B.Nirmala is presently working as Scientist (Agricultural Economics) at Directorate of Rice Research (ICAR), Hyderabad, India. She has completed Ph.D (Agricultural Economics) from Acharya N.G. Ranga Agricultural University, Hyderabad. She has been awarded ICAR Junior Research Fellowship to pursue M.Sc (Ag). She has been awarded Young scientist award in 2009 by Green Cross Society, Agra, India. She has published 8 research papers in peer reviewed research journals, 1 international book chapter, 2 national book chapters, 1 popular article and 6 seminar abstracts. Her areas of research include impact studies of agricultural technologies, production economics and international trade in agriculture.